He was also counting on Britton, who was the best closer in baseball last season with 47 saves and a 0.54 E.R.A., to make him look smart. Britton missed two months this season with a forearm problem and his numbers have been nowhere near as intimidating as they were in 2016. But he is still a premier pitcher. And in this instance, he got the better of Sanchez, buzzing a pitch past him to end the game and give the Orioles a 6-4 victory after the Yankees had stampeded them in the first three games of the series. 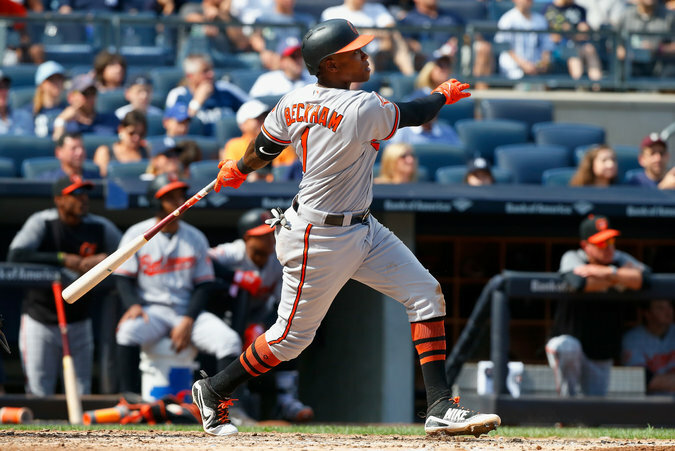 Tim Beckham hitting a three-run home run off Sonny Gray in the fourth inning. It was his second home run off Gray in 13 at-bats during his career. The result kept the Yankees from gaining ground on the Boston Red Sox, who lost, 3-2, at the Tampa Bay Rays but retained their three-game lead atop the American League East. Olympic Cross-Country Skiers Eat 8,000 Calories a Day. It’s Exhausting.